New tech trends can be easy to underestimate when they represent a real change from what has come before. The use of blockchain systems to transfer information in supply chain scenarios is one such development, as the concept first rose to prominence as the power behind cryptocurrencies such as bitcoin. 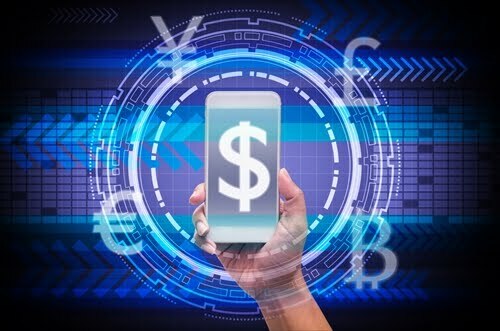 Those currencies' early association with speculative investment and the dark web may have caused some procurement professionals to overlook blockchain as a business tool. Today, with international supply chains becoming larger and more complex constantly, it's wise to take another look at the progress blockchain has made in becoming the basis for business data exchange. The ability to securely and quickly exchange data between partner organizations is valuable today, and any promising chance to seize this capability is worth pursuing. "The blockchain will allow organizations to be sure their data is consistent." Supply Chain Digital recently interviewed SAP's Paul Devlin for his thoughts on the next steps blockchain will take within the supply chain. He explained that the technology's disruptive potential comes from the increased governance and surety that is possible when transferring information through such a system. The general format of blockchain, which serves as a centralized transaction ledger, can allow organizations to be sure their data is consistent - when all partners in a transaction are using blockchain, their information matches by default. Security and protection from miscommunication are two blockchain draws identified by Devlin's overview. Ensuring that shipments have been dispatched as planned and ensuring fraud hasn't occurred are two of the major practical uses of blockchain in the supply chain. Devlin explained that in the years ahead, there is room for companies to get more creative and ambitious with their implementation of blockchain. Visibility and verified information, two of the benefits coming from blockchain technology, can be used for more than just ensuring fraud isn't occurring. Devlin added that employing the technology is a way to ensure supply chains are free of any kinds of unacceptable practices that companies have pledged to stamp out, from child labor to slavery. Entrepreneur included blockchain usage on its list of up-and-coming trends that will affect the way business is done in 2018 and beyond. The implementation of these systems will have to move beyond finance to become truly influential, but the news source believes the technology is ready to make this jump. The fact that banks have found ways to use blockchain is a heartening sign that it can transcend its dark web associations and become a backbone technology for companies in need of quick transaction accounting. In addition to procurement, Entrepreneur named cloud storage and legal matters as areas that could be disrupted by the increased use of blockchain. With the ability to check data from a centralized and neutral ledger, organizations operating in these spaces will be able to count on one another, quickly verifying that the facts they are working with are accurate and that all parties involved have access as needed. The combination of speed and security seems too good for these companies to pass up.